A successful bike race in Mankato, MN in June!. Here in the photo is North Star Bicycle Festival & Gran Prix race director, David LaPorte checking out the race course in between races. 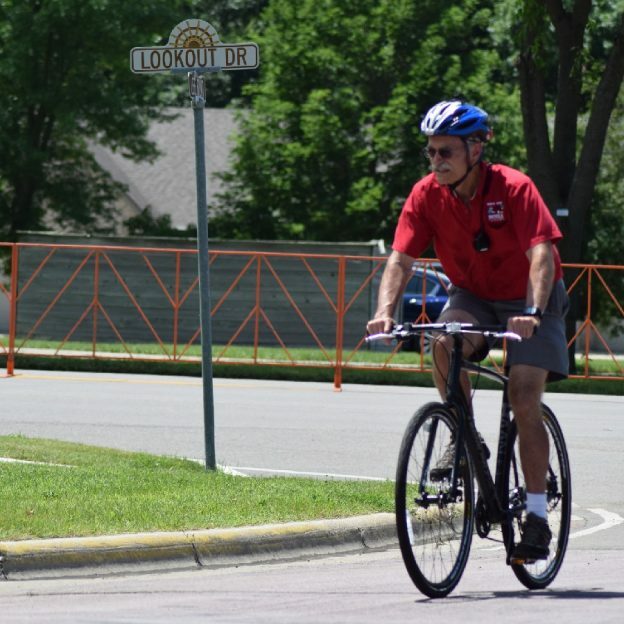 This entry was posted in Picture of the Day and tagged #FindYourNextAdventure, #onlyinMN, kids bike races, Mankato, Men's Pro Races, National, North Star Bicycle Festival, pro/elite racing, US Cycling Pro Race Tour, women's bike races on July 11, 2016 by Russ Lowthian.